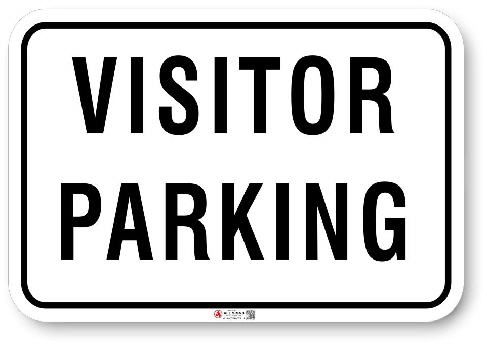 White aluminum parking sign 0.064" thick with 1.5" radius corners and all edges polished smooth for safety. Baked on double sided polar white enamel with 3M Graphic film and eco-safe, UV stable printed Graphics. Made to last in Canadian weather conditions.